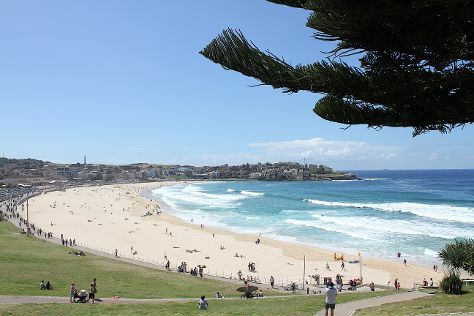 Attractions like Bondi Beach and Manly Beach make great kid-friendly stops. Explore the numerous day-trip ideas around Sydney: Blue Mountains National Park (Grand Canyon track, Anvil Rock Lookout, & more), Katoomba (Wentworth Falls & The Three Sisters) and Coachwood Glen Nature Trail (in Megalong Valley). Spend the 19th (Sat) exploring nature at Sydney Harbour National Park. Spend the 31st (Thu) wandering through the wild on a nature and wildlife tour. Next up on the itinerary: take in nature's colorful creations at Royal Botanic Garden Sydney, wander the streets of Darling Harbour, admire nature's wide array of creatures at Sea Life Sydney Aquarium, and catch a live performance at Sydney Opera House. To see maps, reviews, ratings, and tourist information, you can read our Sydney trip itinerary app . If you are flying in from Germany, the closest major airport is Sydney Kingsford Smith International Airport. In October in Sydney, expect temperatures between 28°C during the day and 17°C at night. Cap off your sightseeing on the 31st (Thu) early enough to travel back home.